Prior to joining the firm, Krishna also worked at SAFECO Insurance and Stoel Rives, LLP. Krishna joined Sather, Byerly & Holloway, LLP in 1996 and became a partner in 2000. Krishna is admitted to practice in Oregon and Washington. He handles litigation in state and federal courts for employers and insurers in Oregon and Washington and related workers’ compensation and employment related matters. 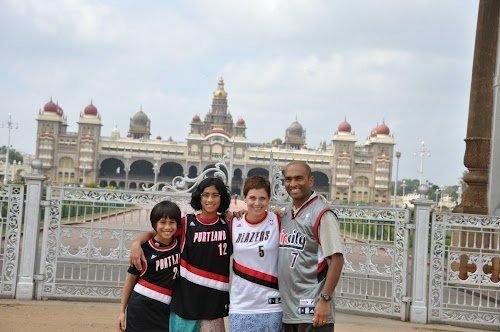 Krishna is admitted to practice in Oregon and Washington. He works closely with human resource managers, loss prevention managers, safety directors and claims adjusters to manage pre-litigation situations or to handle the litigation. Member of the Oregon State Bar; Washington State Bar Association; American Bar Association; Oregon Association of Defense Counsel; Society of Human Resource Managers; Multnomah Bar Association; Oregon Minority Lawyers Association; Oregon Self-Insurers Association; Workers’ Compensation and Labor & Employment Sections of the Oregon State Bar; and Disability Management Employer Coalition, Board Member. DMEC – presentations on interactions between workers’ compensation and other employment laws, and case law and legislative updates, 2007 – present. Sterling Education Services – presentations on ADA issues and the paperless workplace, 2008 – 2010. Technical Assistance to Employers’ Programs sponsored by the Oregon Bureau of Labor & Industries, 2007 – 2011. General presentations on garnishments, “at will” employment, ADA, FMLA, OFLA and workers’ compensation. Northwestern School of Law at Lewis & Clark College, J.D. (1994); University of California, San Diego, B.A. (1990).